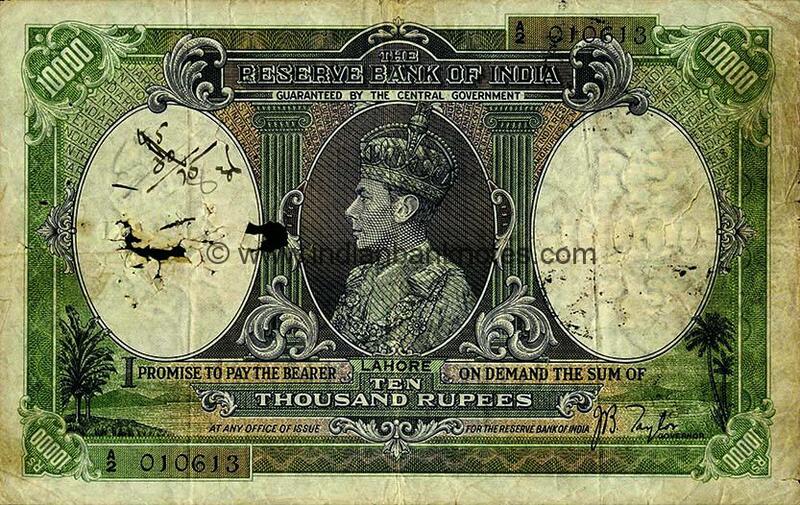 2nd issue: Issued on 5th October 1944. Withdrawn from circulation on 27th October 1957. Printed on white, machine made paper. 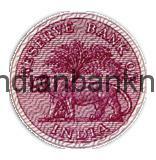 RESERVE BANK / OF INDIA in centre and GUARANTEED BY THE CENTRAL GOVERNMENT below it. Facing portrait of King George VI in right window, serial number in green below portrait. 10 in top corners. TEN RUPEES in Central Denomination Panel. 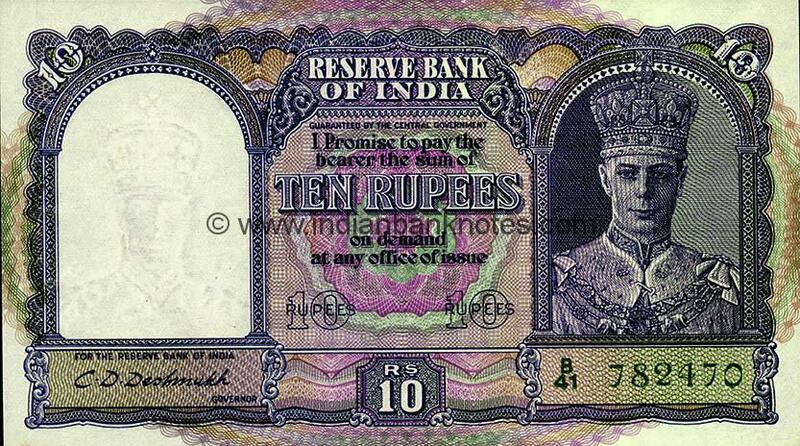 RUPEES overwritten on ‘10’ on either side below promise text. Rs. /10 in lower middle. 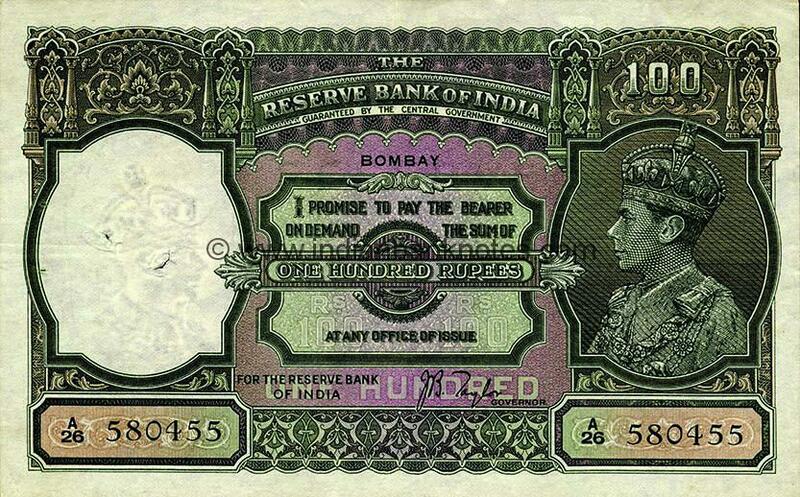 Signed by GOVERNOR FOR THE RESERVE BANK OF INDIA in lower left. Embedded metallic thread or ‘security thread’ as a security feature introduced. RESERVE BANK / OF INDIA on top, language panel in left window. Sail boat or dhow in central panel. RBI logo in lower centre. 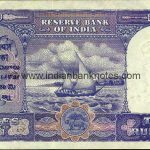 RUPEES / TEN below language panel, TEN / RUPEES below watermark window. 10 on top corners. Palm trees on either end of windows. Facing portrait of King George VI. 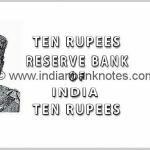 TEN RUPEES / RESERVE BANK /OF / INDIA / TEN RUPEES in five lines. 1. 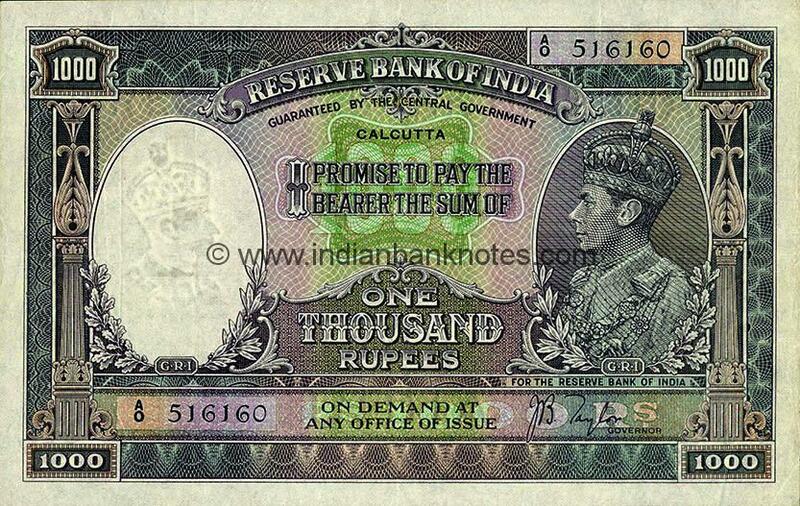 Some of these notes were overprinted for use in Burma and Pakistan. See type 5.11, 5.15 and 5.20 in Chapter 5. 2. 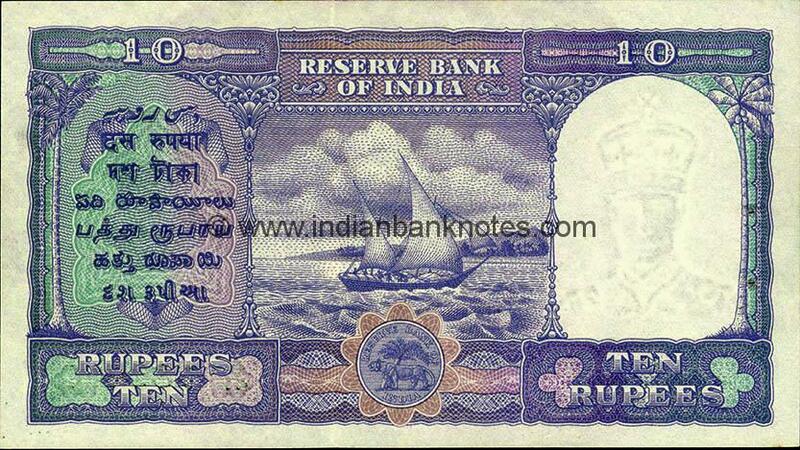 The longest surviving motif of the Sail boat on reverse used in Rupees Ten for over 40 years. 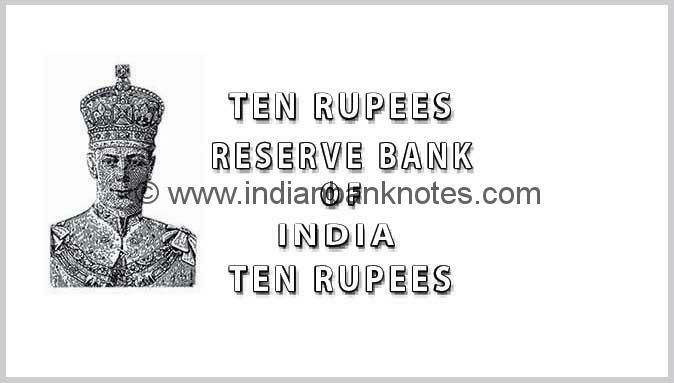 RUPEES overwritten on ‘10’ on either side below promise text.